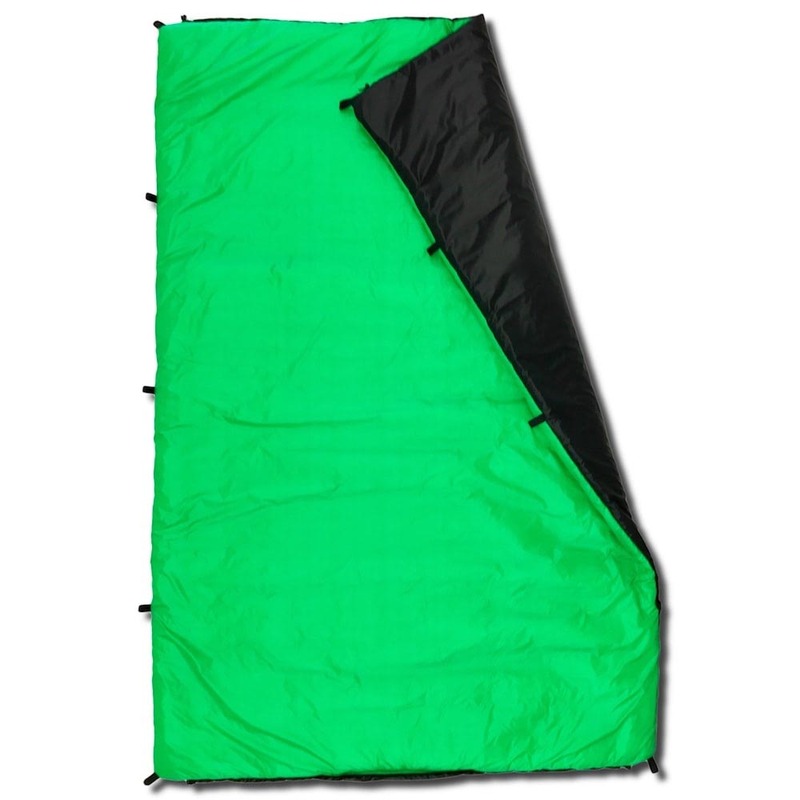 Made-to-order synthetic hammock underquilt, full-length. 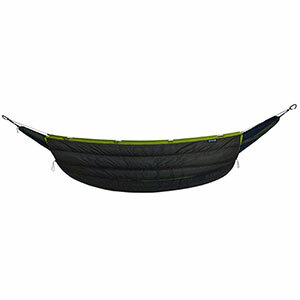 Made-to-order synthetic hammock underquilt, full-length. The single most expensive piece of camping equipment I own, and worth it. Warmth: It's a full length quilt, rated (when I bought it) to 20 degrees; the website currently says 25. I have slept in it comfortably at 15-20 degrees, and windy, but with a hot water bottle, and a poncho wrapped around the outside of the quilt. Given that I don't sleep warm, I think the rating is more than fair. Fit & Comfort: The quilt is available in several lengths. Mine is medium and plenty long for 5'8." It is plenty wide to go well up the sides of the hammock. Packability: Not so hot. This really isn't a flaw, it's just the nature of the materials. It came with a nice little stuff sack (the only piece of cuben fibre I own), and it fits in neatly, but is packed firm, and over a foot in length. 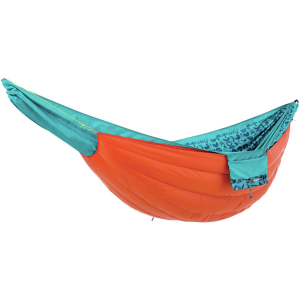 Features: Apart from the nice extras of the sack and carabiners, no. Although you can pick from a wide range of colors. Also, the fulfillment of the order was very prompt (it said, if I recall, about two weeks, but it was more like two days). Construction & Durability: The quality of construction (basically, the stitching) is perfect. 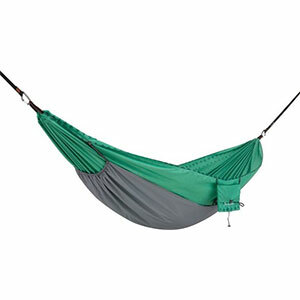 Granted that the nature of the item is such that it really doesn't get hard wear (it doesn't get dragged on the ground or a splintery shelter floor like a sleeping bag) it's like new. Conditions: About three years, for three-season trips, excluding very hot summer weather. Mostly in the Catskills and Mid-Atlantic seaboard. I have used this quilt in all but the dead of winter (when I don't backpack) or the very hottest summer weather (perhaps 50 nights, in trips of overnight up to a week). For the climate (Eastern, humid) the drawbacks of synthetic seem worth it to me. 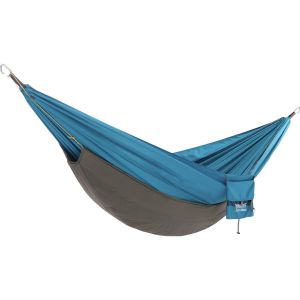 Thanks for being the first to review this brand on Trailspace, MHW! 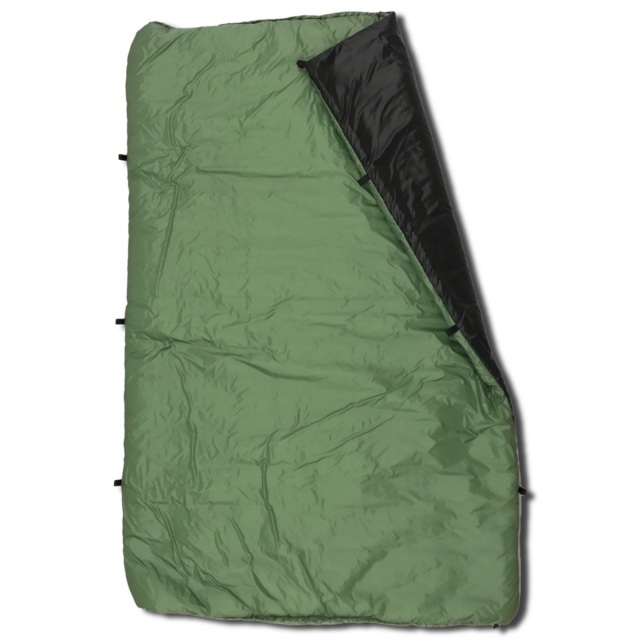 The Arrowhead New River UnderQuilt is not available from the stores we monitor.